I picked up a dead but very clean looking $20 X220i tablet because I could not resist a project and I never had a Thinkpad tablet. The machine boots and runs W7 to the display port or VGA port but not the LCD on the unit. I am guessing it might be the LED card or wiring to the display. Are there some display wiring or components (like the LCD) that historically fail on this unit. Any ideas of the next troubleshooting steps are appreciated. Replace the entire display unit. These are pretty reliable display so the entire thing is probably shot. LEDs don't go bad like CCFLs. I too was thinking I would replace the entire lid but the cheapest one on eBay is about $60 and the LED card is $6. For that price I might just give it a try. Well the LED card for an X220 tablet wouldn't do anything as it has no connection to the panel. The LED inverter and stuff is all inside the display and non-replaceable. You could try and order a cable, that might have broken and is cheap. To me, sounds like a display issue. On a side note: did you change your signature? I thought you had a T60p with a T7600 a few hours ago. I thought what they call the Microprocessor Card in the HMM, item 10 had the inverter on it. Based on the overall condition I would be surprised to see a broken cable but maybe I will open it up and take a look. I bought this at our local universities twice a week surplus sale from their parts bin so maybe there will be another one with a good display, a long shot. Most of there stuff is Dell with random Thinkpad's. They did have a rare working X201S the other day for $125. Yes, as I was posting I noticed an update was needed to my signature. I finally turned the T60p into a Frankenpad about a month ago. I had purchased one of those new NVidia boards from Tuus at least a year ago and finally put it into the T60p and also upgraded the CPU. I live in a CoHousing Community and our Finance Team is going to use it for QuickBooks. That is just a small board to control the onboard LEDs and the buttons on the front. No connection to the LCD panel. LCD panels have had one cable since they stopped using CCFL bulbs in 2010. Yes, I did a parts look up and found some good pictures of the display which seems to include the digitizer, LCD and electronics. 04W1545 (MultiTouch) or 04W1546 (Outdoor Panel). Not sure the difference or which one is in my unit. They both have IPS screens. It sounds like repairing them or separating the LCD and digitizer is not really feasible. I think I will open it up and see what I find but also keep an eye out for the assembly or the whole lid. To check if it’s the backlight, shine a cell phone flash at the screen during boot. If you see a faint Lenovo logo, it’s the backlight (could just be the backlight fuse). Otherwise the cable or something wrong on the motherboard. You can try partially removing the keyboard (leave the flex cable plugged in) and try touching the LCD cable (silver isolation) to see if there’s a problem in the cable. Put it against the screen, it works better than a few inches away. Also, TN displays are normally white and work well with this trick. You will need a BRIGHT light source for ot wo work well on IPS since IPS is normally black. I opened it up and re-seated the LCD video cable on the LCD assembly, no luck. I will next try the backlight test. I just realized I might have left it in display boot up mode to the display port, not sure if it will go to the LCD after boot up. I have an X230T with a working screen so this is how you get into the BIOS without a working LCD. Rapidly press F1 until it beeps right when you turn on the machine. That should get the LCD back on if it works. I reset the BIOS to default ( as suggested) with the display port output routed to an external monitor so I could see what was happening. Restarted the machine without display port connected. No obvious display shining a light at the LCD. Wiggled the two LCD cables and connectors on the board and reseated them, nothing. The VGA and Display port both work. It is interesting when connected to an external monitor and hitting Fn F7 the display on the monitor stays active and does not blank. So, is it the system board or LCD assembly? I played a bit more, pulling the lcd / digitizer assembly and disconnecting the video cable at the panel to see if there would be anything on the LCD with the unit powered up. Nothing, I am leaning toward a system board problem although not clear while there is video signal to the VGA and display port. I guess it could be an entire different circuit. Which part is more likely to have failed? I can get a used board for $25 on eBay and it would be an i5 versus the existing i3. The display assembly is about $60. Any other ideas for troubleshooting or recommendations on which part to change-out? Internal (=digital) and external (=analog) display are two different GPU parts. One can be faulty while the other still works (like in your case). Is the display port analog since it has a DVI plug on the other end going to the monitor? Wow, by the drawing you shared the cable I have leaving the X220 is display port to digital DVI-D and I get signal to my external monitor, therefore I must be getting a digital GPU output. I thought the GPU output was analog external and digital internal. I am confused. It can do both. On my X230T, It has optikns for boot displays: TP LCD, Analog, Digital(DVI w/ dock), DP1, DP2. 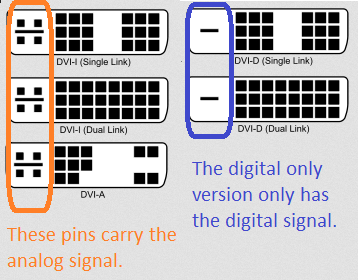 Only having analog was a setting from 2003 when 99% of monitors were VGA only. Of course I should have realized that, the X220T has the same options in the BIOS as your X230T. What is curious is that the internal GPU output to the LCD cables must not be associated with the external GPU outputs if the problem is on the system board. It is not connected is kinda misleading. It is still connected to the same chip but they lead off on different traces. If the board is damaged on the LCD traces, that cab cause those symptoms, but if it is GPU failure(EXTREMELY UNLIKELY), ten both displays int/ext. would be dead. It is hard to imagine the board traces are damaged but maybe. I guess it is a toss up at this point which component to change. Well, the new cable did not solve the problem, still no display. I am thinking system board is the next guess only because it is less dollars than a new display. Any votes? System board or display assembly? Have you checked the LCD-fuses F3 and F4 near the LCD-connector on the mobo? It's the LCD-connector nearest the HD-connector. Just in case, do you have (or know someone with) another X220T or X230T? By just removing its keyboard, you could try your tablet-LCD on it. Mobo is cheaper than LCD, so my vote would go to a mobo. Top of the line would be a mobo with i7 CPU which would also give you a USB3.0 port, but that will probably remain wishful thinking. So I guess it will be an i5 mobo. If this link works take a look at the photo. I can see F3 clearly. Is F4 the pair of fuses below the note 5A / 32V or is it the larger blue object with F on it ? Both blue objects look OK to me. I can see a blue fuse near the F4 label and a couple of other surface mount components next to it. One looks damaged but not sure. Anyone know more about what I am looking at? Just trying to decide if I should order a new board or display assembly. Sorry, the link was in the previous post. That link gives Error 404 (Not Found). put your pictures on https://imgur.com/ instead.